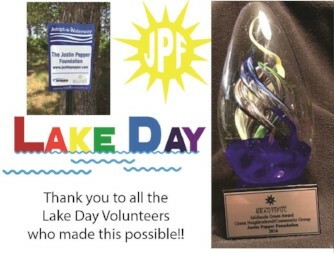 The Justin Pepper Foundation received the 2016 Green Neighborhood/Community Group Award for Lake Day program and the adoption of Spence Island. 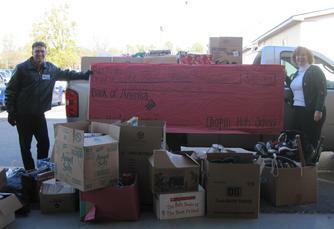 We are extremely grateful for our volunteers who come out to help clean up the islands on Lake Murray each year in July! 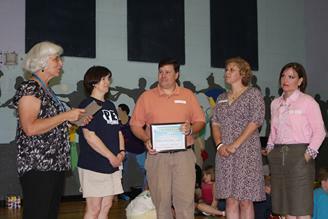 Chapin High School, again recognizes The Justin Pepper Foundation with a generous donation in December 2013. 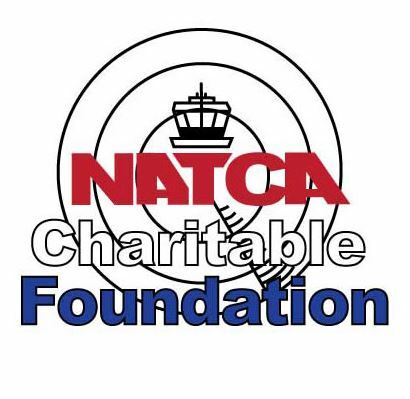 $4,839.33. 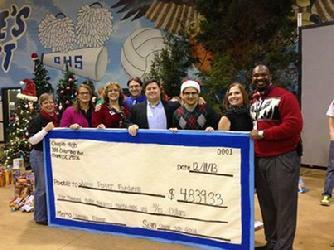 Chosen by the Chapin High School Student Government as their charitable organization for the year, the foundation was overhhelmed with donations and a check for $12,000 in December of 2010. 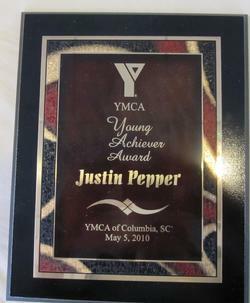 Awarded to Justin posthumously at the YMCA Annual Meeting and Round Table Luncheon held on May 5, 2010, for charitable contributions to his community durning his lifetime and for the influence he has had on other kids to be charitable. 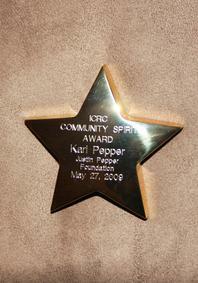 On May 27, 2009, the Irmo-Chapin Recreation Commission presented a Community Spirit Star Award to The Justin Pepper Foundation for supporing youth sports at Crooked Creek Park in Chapin. 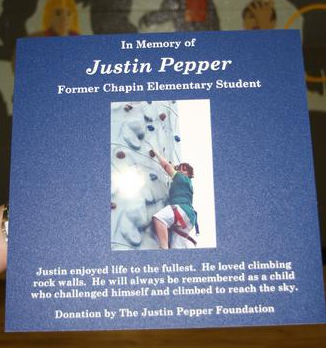 The Justin Pepper Foundation works in conjunction with Crooked Creek Park during the Football and Baseball Seasons to assist with sports team sponsorships. 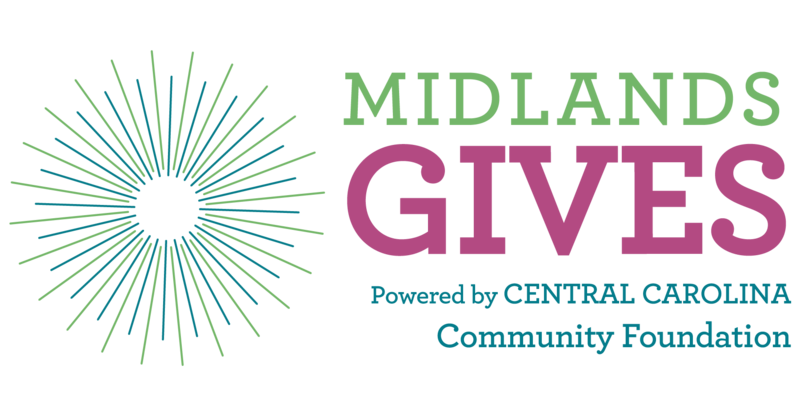 In addition we provide individul sports sponsorships and sports equipment donations to help those that may need some extra assistance to play the sports they love so much. The foundation has also organized volunteer efforts on Chapin's Community Service Day to paint the football field stands at the Chapin Complex and install new poly-cap on the baseball fences at the Chapin Elementary school where the ICRC Youth Baseball Teams play. 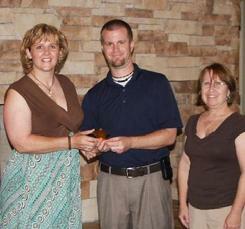 Eaglet Rock is not only fun but educational. 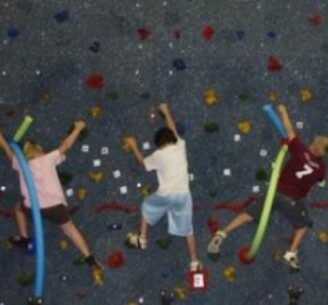 CES students climb the wall for endurance and to collect magnets. On the left side of the wall the students find state names and capitols, then place them on the map to the left of the rock wall. On the right side they collect pictures of food and place them into the basic food groups chart located to the right of the rock wall. A plaque in memory of Justin hangs on the wall to the right of Eaglet Rock. The plaque has a photo of Justin climbing on a rock wall with the following inscription.